We are affiliated with a hybrid Registered Investment Advisor (RIA), Independent Advisor Alliance, whose home office is in Charlotte, NC. Robert Russo, AAMS, CRPS, owns Independent Advisor Alliance (IAA) and is an Office of Supervisory Jurisdiction (OSJ), allowing us to focus on the things we do best, financial planning and asset management for our clients. Robert and his dynamic staff handle daily back office operations to support our local offices. The hybrid RIA platform allows our firm to operate more independently, giving us the ability to make decisions based on our own internal policies and best practices which are focused strictly on our clients. 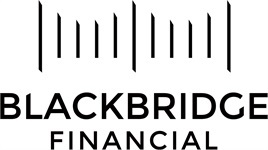 Blackbridge Financial is a name that ties together a network of advisors primarily located in the Carolinas and affiliated with IAA. Our local alliance is Blackbridge Financial of SC, serving our clients in SC and many other states as well. Premier client service driven by integrity is our hallmark. We are blessed to grow our business primarily through the referral of existing clients, we consider this the highest compliment a client can give us.